By cross-domain, we refer to the practice of making HTTP requests on URLs that refer to resources residing on a domain other than the one from where the page being viewed/executed was loaded from. Simply telling JSONP (JSON with Padding) was created as a workaround to the cross domain problem. The cross domain problem refers to the fact that Ajax code run from website A can't access data from website B. Take a look on the following example. For our company we wanted to create one unique landing page for all of our under maintenance projects. Basically we wanted to create one simple HTML page with the newsletter and contact form. The problem occured when I tried to figure it out how to send data from one server to another. Previously in the past, for this case scenario, I would send JSON data via web service, but now I wanted to try some different approach. How to use JSONP in ASP.NET MVC? Lets take a look of our basic newsletter form that we created for this example. It contains one input email field and one submit input field. Our goal is to send via ajax, using JSONP, an email address to remote server. When users clicks on the submit button, he will invoke JSONP request and sent data to remote server. You can see on below example that main difference, between invoking JSON and JSONP request, is that you need to specify dataType as “jsonp” instead of “json” and the callback query string parameter jsonp to specify as “callback” using the jsonp option . First we will need to create a new custom action result class JsonpResult that derives from the JsonResult class. The JsonResult class is an inbuilt class provided by ASP.NET MVC and represents the data in JSON format. Lets take a look of our JsonpResult class that we will use in our later example. The parameterized constructor of the JsonpResult class accepts an object that represents the data to be wrapped in JSONP form. The SubscribeToNewsletter() method accepts one string parameter - Email - that represents a newsletter subscriber email. The return type, if SubscribeToNewsletter() method, is JsonpResult. Browsers don't let you make cross-domain requests due for security reasons, but if you want to do it anyway use JSON with Padding or JSONP. Using JSONP you can achieve cross-domain communication in legitimate scenarios. 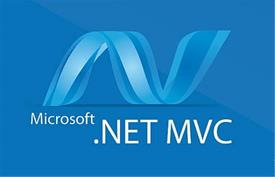 .NET is a platform that gives you a platform to develop many applications that to free of cost. MVC is designed so that programmers, designers and testers can work independently. So many people want to improve their programming and coding skills but not everyone finds the proper resources to learn and practice it. ASP.NET MVC is an open source web application framework that implements the Model-View-Controller (MVC) architectural pattern.